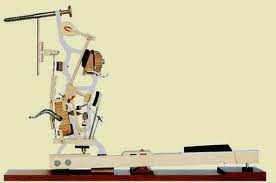 Vertical pianos include uprights, consoles & spinets. 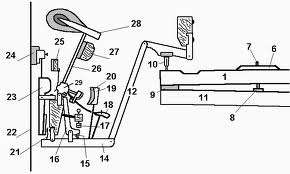 This photo shows an actual action mechanism for a single key on a console piano. 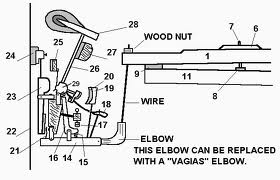 This chart shows all of the parts in an upright piano action. 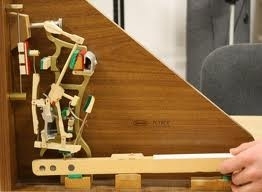 This is a photo of an action model of a console piano. 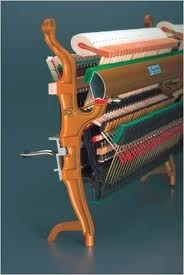 This is a photo of a vertical piano action removed from the instrument. 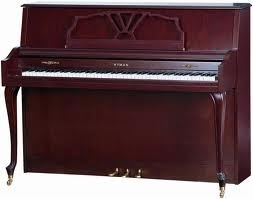 These charts show a drop action from a spinet piano.